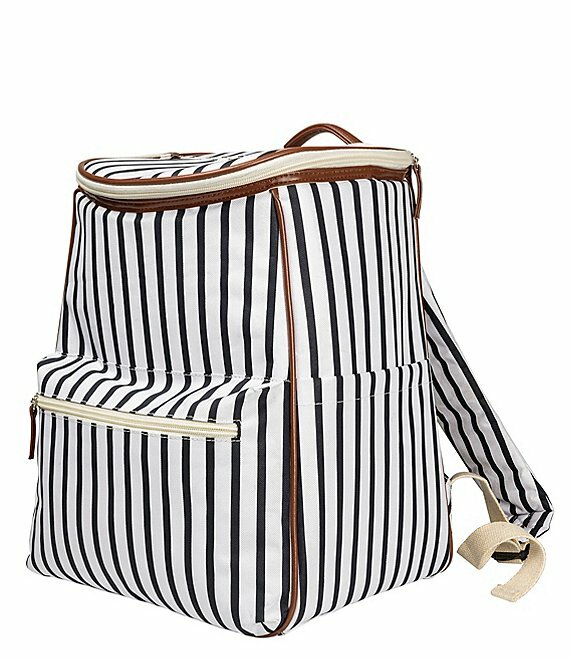 The Personalized Striped Backpack Cooler is the perfect durable companion for experienced and new travelers alike. This portable cooler is fully insulated, ensuring your beverages stay cool. The padded shoulder straps fit comfortably on your shoulders, while holding all of your items. The extra zippered and open pockets ensure there is space for all your picnicking needs. The striped backpack cooler makes a great gift for any adventurer.